LET'S PAY TRIBUTE. Honor a Forté Champion. Who has helped you get to where you are today or is an inspiration in your life? Is it your co-worker who encouraged you to go for the promotion, the manager who coached you through a big project, your dad who has always believed in you, or your daughter who has grown into a role model for others? We want to know. Honor a Champion for women in business with a $25 gift to Forté Foundation. Forté Champions are people who drive you to form clear goals and stand behind you as you achieve them. Tell us how your champion inspired you and pay it forward. We'll share that message with your champion in a personalized letter and honor her or him on our website and social media channels. By honoring a champion, you'll help other women like you discover the rewards of a business career, pursue their dreams of an MBA, and gain access to influential women business leaders and role models. 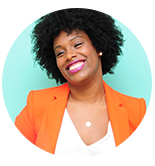 "We honor Nikita Mitchell as a Forté Champion for her role in encouraging more women to pursue MBAs. Her work as an MBA student at UC Berkeley to increase female enrollment embodies Forté's mission." Why: Nikita, a University of California Berkeley-Haas MBA graduate, recently received the Forté 2015 Edie Hunt Award for her exceptional contributions to women in business. At UC-Berkeley, she helped to establish the "40 x 20 program" to reach 40% female MBA enrollment at Haas by 2020, yet the efforts that followed achieved a historic 43% female enrollment in the MBA Class of 2016. We honor her as a Forté Champion for encouraging more women to get an MBA. Forté Sponsor Schools have granted $85 million in Forté Fellowships to women pursuing MBAs. Female MBA enrollment has risen from 28% to 36% since Forté began in 2002. Forté membership is 70,000 women strong. Let's power up! 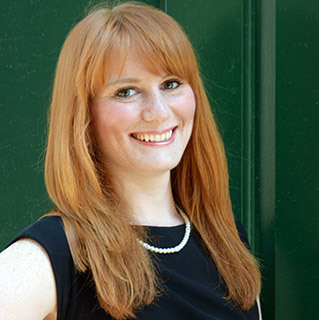 Why: "I am honoring Kathryn McGeough because of the journey she travelled to her MBA. Kathryn moved from England to attend Harvard Business School, a brave step to be so far from friends and family. For her summer break, Kathryn spent two months in Uganda working for Mercy Corps as part of the newly launched Social Venture Fund. Kathryn graduated in 2015 and now works for McKinsey. I am proud to see her live to her full potential and that she made her dreams come true." Why: "I am honoring Joel Tillinghast as a Forte Champion for over 25 years of mentorship of promising women analysts and portfolio managers. As Portfolio Manager of the Fidelity Low-Priced Stock Fund, Joel has mentored, encouraged and inspired countless women to pursue a career in investment management. 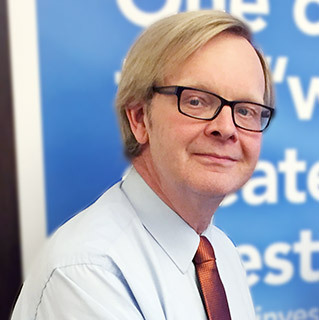 Over his 25-year tenure as a portfolio manager, he has been generous with his time and insights, helping young women develop their investment skills and advance their careers." 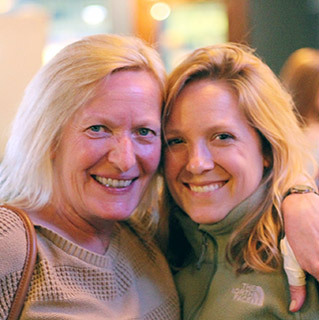 Why: "I chose to honor my mother, Beth Hillenmeyer. She has been a model of balance: wielding strength with compassion, work with rest, resilience with recovery, and give-back with self-care. She has always encouraged all in her life to be brave enough to wander, humble enough to come home, and wise enough to find company in our journeys."